Quickie post, just saw this on 1 March 2013. 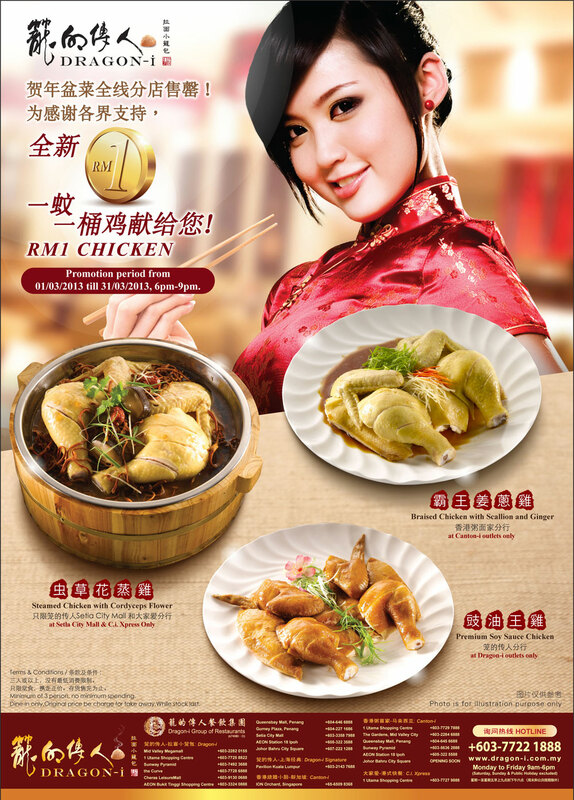 RM1 chicken promotion is back at Dragon-i and Canton-i for the entire March. Click here for more details and the T&C. Do enjoy your chicken :p for the month of March.